New Zealand Prime Minister Jacinda Ardern appeared visibly moved by the words of gratitude from the imam at a Christchurch mosque that was last week under attack. 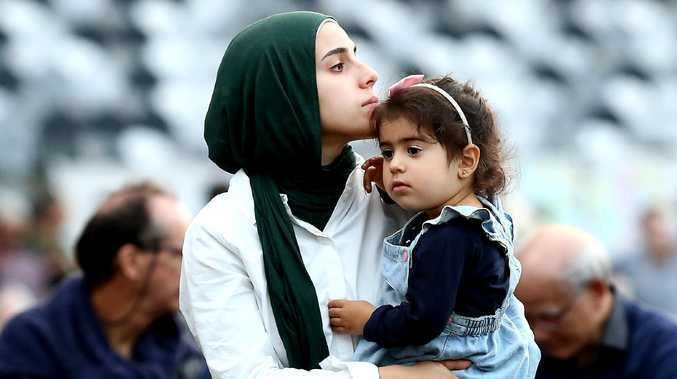 Sitting in a park opposite Al Noor mosque with thousands of New Zealanders, Ms Ardern put her hand on her chest and nodded as imam Gamal Fouda spoke warmly of his appreciation. "To our prime minister, thank you," he began. "Thank you for your leadership. It has been a lesson for the world's leaders. Thank you for holding our families close and honouring us with a simple scarf. "Thank you for your words and tears of compassion. Thank you for being one with us." Imam Fouda said he stood in the mosque last week and saw "hatred and rage in the eyes of the terrorist who killed and murdered 50 innocent people, wounded 42 and broke the hearts of millions around the world". But he said that hatred would be replaced by love. "Today, from the same place, I look out and I see the love and compassion in the eyes of thousands of New Zealanders and human beings from across the globe. "This terrorist sought to tear our nation apart with an evil ideology ... but instead we have shown that New Zealand is unbreakable and that the world can see in us an example of love and unity. "We are broken hearted, but we are not broken. We are alive, we are together. We are determined to not let anyone divide us. "We are determined to love one another and support each other. This evil ideology of white supremacy did not strike us first yet it did strike us hardest." He said "hate will be undone and love will redeem us" and thanked front line police who "saved us from the killer". New Zealand is broadcasting the call to prayer on national television. Incredibly moving stuff. he words followed a broadcast in New Zealand and around the world of the Muslim call to prayer - a moment accused killer Brenton Tarrant and those like him would never have wanted. The call to prayer was followed by two minutes of silent reflection. Outside the Al Noor mosque, where 42 people were killed, thousands of New Zealanders gathered. Among them were survivors - including teenager Zaid Mustafa - and the wider Christchurch community. Zaid, who is in a wheelchair after he was shot inside Al Noor mosque, lost his father Khalid and brother Hamza. Prime Minister Ardern, who has been celebrated around the world for her swift and heartfelt response to the terror attack, is expected to speak shortly. Ms Ardern yesterday announced sweeping changes to the country's gun laws including a buyback scheme similar to the one introduced in Australia after the Port Arthur massacre. She banned all assault rifles, all semi-automatic weapons and all military-style weapons in a move seen as strong, progressive and necessary. 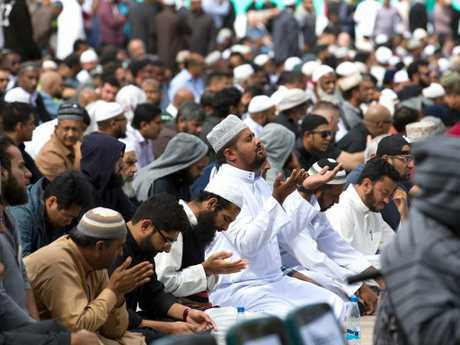 The head of the Federation of Islamic Associations of New Zealand, Mustafa Farouk, said he was "so happy" the world would be a part of this afternoon's call to worship. "We appreciate the support that the people of New Zealand have given to us at this time, and the opportunity to do this," he said. The mourning will continue long after today, as more of the victims are buried. Among the dozen who were buried on Wednesday and Thursday were teenagers from local schools and 71-year-old grandfather Haji-Daoud Nabi, who reportedly told the gunman "Hello, brother" before he was shot and killed. Students from Cashmere High School returned to the Memorial Park Cemetery in the city's east for a second time to farewell their 14-year-old schoolmate Sayyad Ahmad Milne a day after the burial of another friend, Hamza Mustafa, 15. A Christchurch newspaper's front page says it all. 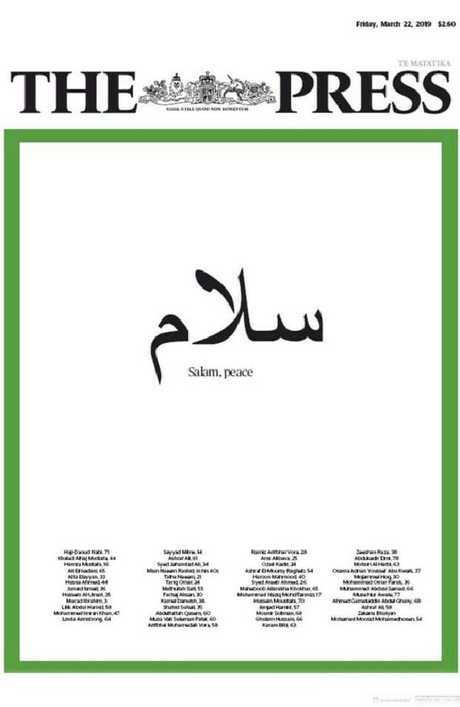 Daily paper The Press, which distributes to Christchurch and Canterbury, shared the word "Peace" in Arabic script above the names of the 50 people killed in Friday's attack. Front page of NZ newspaper The Press today. On The Press Facebook page, users praised the newspaper for the simple message. "So much love. Seeing this gave me a shiver down my spine," Emma Russell wrote. "This is so sad but so beautiful," Janine Webber wrote. 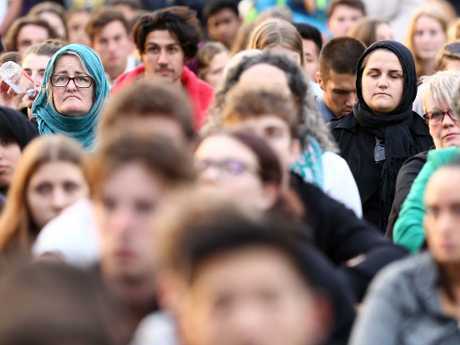 More than 10,000 people marched silently on Thursday through the New Zealand city where the alleged shooter in last week's massacre had lived, as the country paid its respects to the 50 victims of the tragedy. 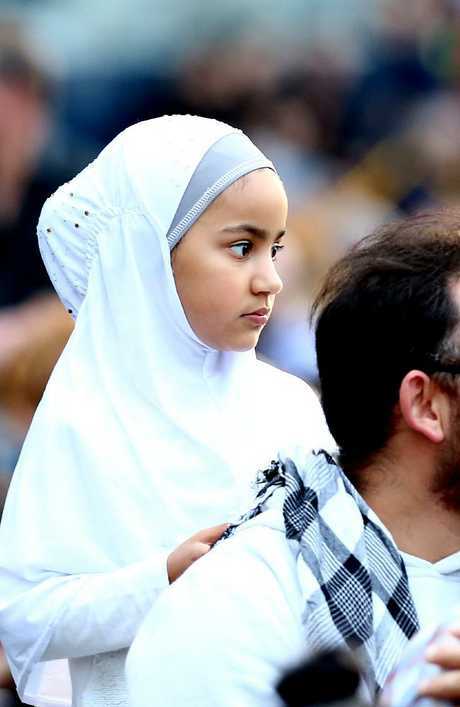 Marchers made their way through Dunedin to a rugby stadium where a total of about 15,000 people eventually gathered for a sombre vigil. 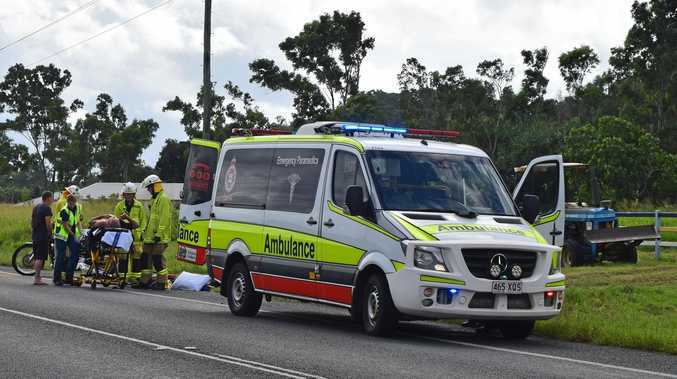 The accused killer had lived for the past two years in Dunedin after moving from Grafton in New South Wales. "We need to examine what needs to change so that this does not happen again," he said, according to the newspaper. "To my Muslim brothers and sisters … you are a precious part of us and we embrace you." Prime Minister Jacinda Ardern on Thursday announced an immediate ban on the military-style semi-automatic weapons used in the slayings. Just listening to the call to prayer to remember #ChristchurchTerrorAttack. Heartbreaking for the families of the innocent murdered worshippers. @jacindaardern is a LEADER.